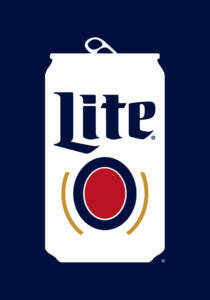 We’ve teamed up with our friends at Miller Lite and BOB 95 FM for this year’s Camping Contest! Prize packs, gift cards and tickets to WE Fest 2019 await the winners of this year’s contest, featuring the theme Stars, Stripes and Lites-Americana. Decorate your campsite to the theme of Stars, Stripes and Lites-Americana at WE Fest. Upload up to three photos of your campsite to Instagram — be sure to tag @WEFestMN and use the required hashtags #ItsMillerTime and #BOB95FM. All entries must be received by 11:59 PM CT THURSDAY, AUGUST 2. NOTE: Your Instagram account must be set to public for your photos to be viewable by our judges. GRAND PRIZE: A Miller Lite Prize Pack, a $300 gift card from BOB 95 FM, and four 3-day VIP tickets with Camp Access and one VIP campsite to WE Fest 2019. SECOND PLACE: A Miller Lite Prize Pack, a $200 gift card from BOB 95 FM and four 3-day General Admission tickets with Camp Access and one GA campsite to WE Fest 2019. THIRD PLACE: A Miller Lite Prize Pack, a $100 gift card from BOB 95 FM and two 3-day General Admission tickets with Camp Access and one GA campsite to WE Fest 2019.